Is Your Olive Oil Genetically Modified? The process of making olive oil has remained essentially unchanged for centuries. Olives are harvested when ripe from olive trees that range from five to hundreds of years old. Many olives are still harvested manually, though machines are being used in newer, more modern operations. After harvesting, the olives are crushed and the paste is centrifuged into olive oil. 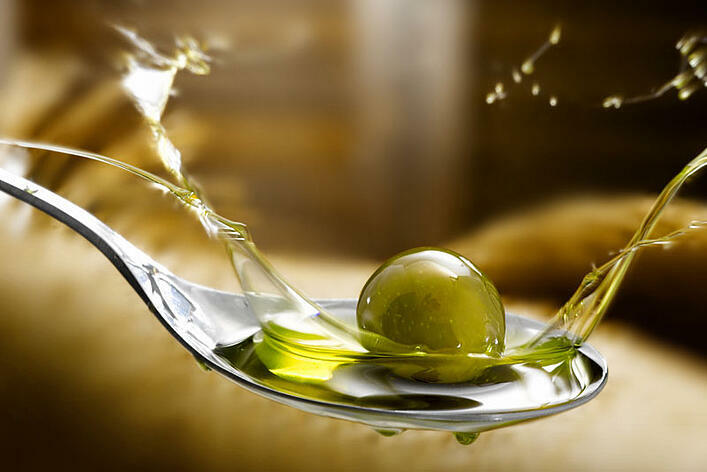 Olive oil is one of the most natural and traditional foods that you can purchase in a supermarket. Currently, olive oil is GMO-free. The old growth trees existed long before scientists experimented on the genes of plants and even the newer trees are of varieties that have been known for decades if not centuries. Furthermore, it is unlikely that olive trees will be genetically modified in the future. There is little interest from food scientists and geneticists in modifying the genes of olive trees. On the other hand, soy, corn, canola and cotton are the most common genetically engineered crops. The crops from these plants are sometimes made into cooking oils. Though there are currently few labeling laws in the United States for genetically modified foods, you can rest assured that both extra virgin and regular olive oils found in your supermarket are GMO-free. If you are interested in being notified of any changes to the presence of GMO olives in olive oil, please subscribe to our mailing list for the latest news in olive oil.